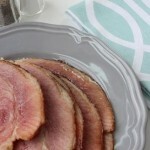 Copycat Honey Baked Ham - Easy Slow Cooker Recipe! 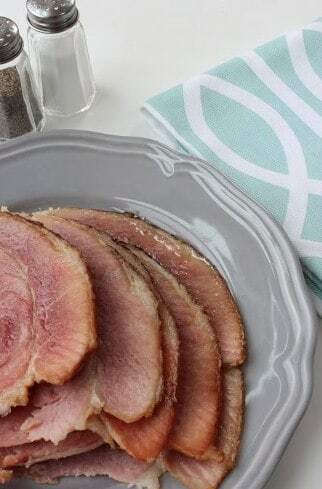 This copycat honey baked ham recipe tastes just like the store-bought version – the glaze is an exact flavor duplicate! It's a slow cooker friendly recipe too! We aren't near a Honey Baked Ham anymore to even considering making a purchase for the holidays. We never did anyway since our families always prepared the main proteins during our big dinners. If you want to recreate the same flavor that Honey Baked Ham has, try this copycat recipe. It's simple and can be made in the slow cooker – BONUS! This will make you wondering why you ever purchased a ham to begin with! 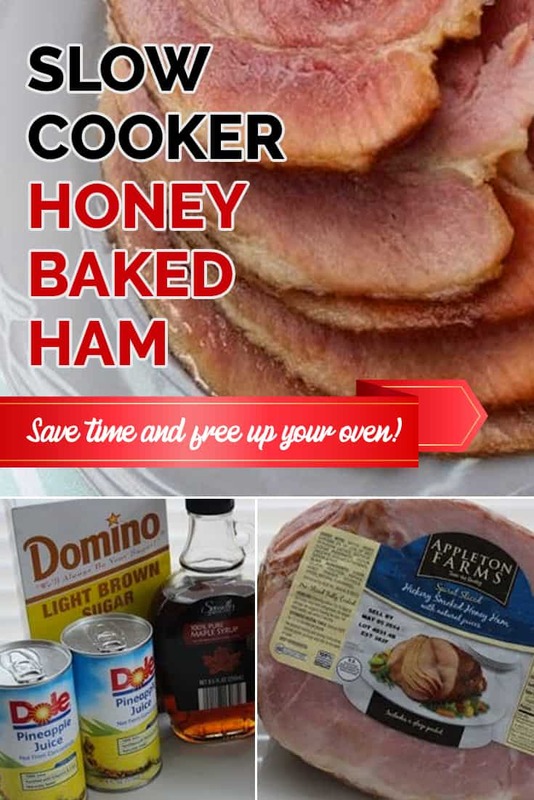 Can I cook the Honey Baked Ham in my Instant Pot? 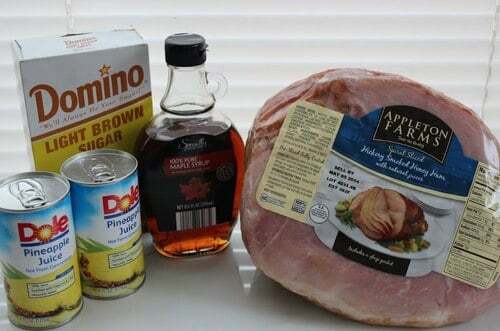 Yes, you can cook your ham in the Instant Pot! Seal the ham well in aluminum foil to preserve all the delicious honey baked juices! Cook the ham for 2 minutes per pound on high pressure. Be sure to Pin this on Pinterest and save for later!